Mother of the bride dress should be equally elegant and must compliment her daughter’s bridal wear. 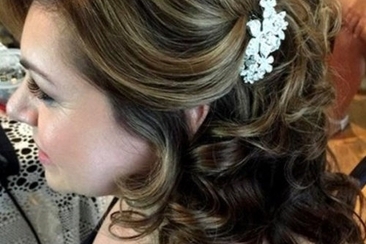 Trends in a mother of a bride dress are evolving. Moms all over the world now prefer to own a more nontraditional and hip look instead of traditional wear. 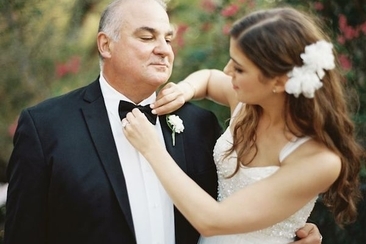 Here are some elegant mother of the bride dresses to make it easy for you to choose. Moms hosting a formal wedding, prefer a more modest look. This reasonably hued floor length gown is best for them. It has a simple V neckline. Long, laced sleeves are quite suitable to a mother’s age. The beaded waistline makes it look glamorous. This knee length lace sheath dress is for a nontraditional mom who doesn’t mind a little skin show. This comfy dress has long illusion sleeves and scalloped hem. Any mom would carry a pants comfortably. This comfy pants pairs with a shimmered tank top and a classy sleeved jacket. The jacket too has a shimmer lace detailing that beautifully transforms this simple dress into a chic one. Featuring a gorgeous polyester A line dress with delicate detailing of bead work in front and back, this dress is stunning. Round illusion neckline and sheer short sleeves makes it sizzling and stylish. A key hole on the back is a plus. This is a dress best suited for informal weddings. The chiffon removable, draped open jacket, pairs with a tiered short skirt, makes the dress elegant and chic. The shirt has a scoop neckline with elegant beading. The shoulders of jacket are embellished with beads and lace detailing. This one is a unique combination of style and grace. 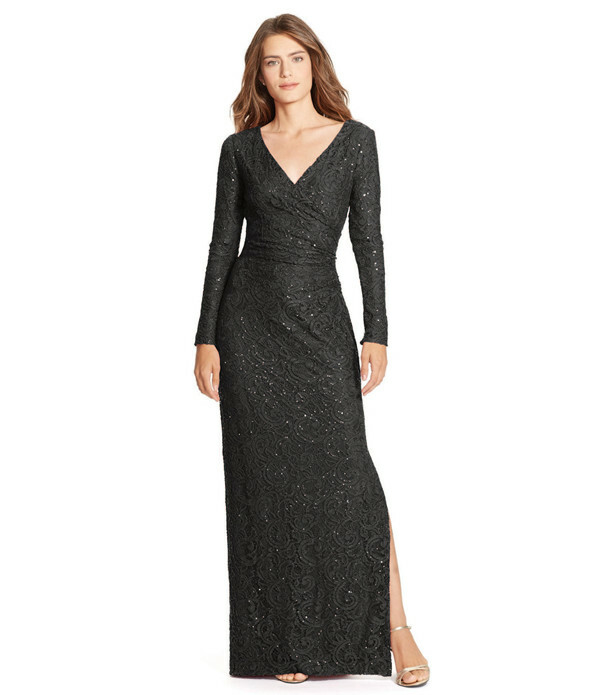 The beautifully sequined lace black gown has a ruched bodice, surplice neckline, full sleeves and a slit opening on the left makes it perfect for mom. Mother of the Bride dresses are also available in floral prints. This one is a multi-colored gown with metallic feel. The gown has a removable satin belt. It also has cap sleeves and scoop neckline. 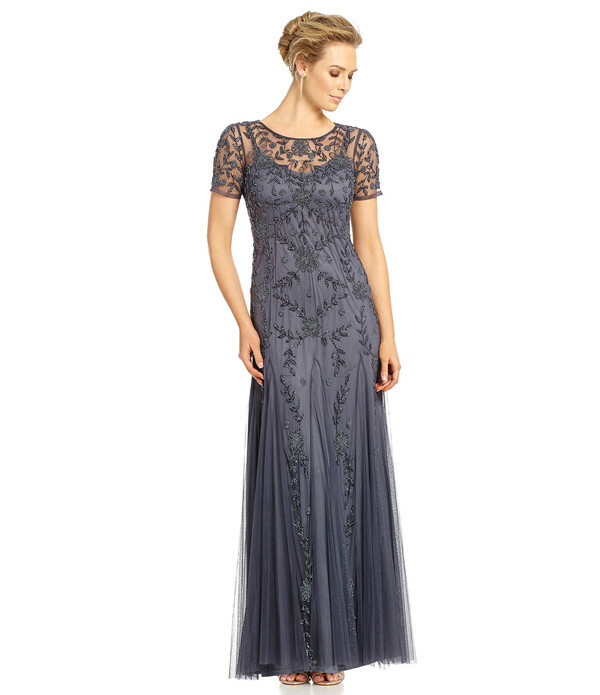 It’s a glamorously stunning gown with detailing of beads and sequins. This sleeveless gown has a V neckline and a V shaped back, which make it attractive. This gorgeous fully lined dress is suitable for all occasions. This sizzling hot dress is perfect for an informal wedding. A modern mom would sizzle in this stunning silk gown with spaghetti straps and asymmetrical draped bodice. The floor skimming dress has a deep stylish back. Black and white is a unique combination for a Mother of the Bride dress. Fitted at the waist by a silk ribbon, this black flowy gown has a super stylish crisscross designed top. The bodice and long sleeves are embellished with elegant sequins. It’s a floral printed short dress with wrap style bodice. The sheath dress is embellished with a gorgeous detailing of glittery thread all over it. With V shape neckline, this short dress is quite nontraditional, when we talk of Mother of the Bride dresses. This one is a floor length mermaid gown. The elegantly styled gown has beautiful detailing of beads and sequins that makes it glow glamorously. Cap sleeves, high neckline and deep at back, the gown is perfect for a mother. This gorgeous Mikado silk dress is perfect for a lady of class. This elegant trumpet gown has a sweetheart neckline, a lace bodice with a stunning removable peplum jacket. The waistline has a beaded detailing. You can wear it without jacket too. 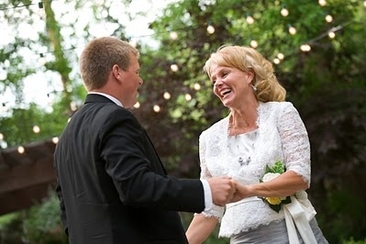 This chiffon pant suit is perfect for bride’s mother. The dress comes with a sleeveless top with double layered waistline and a removable jacket with delicate beading on the edges. Mothers can also wear it without jacket. Looks great both ways. This decent sweater dress is perfect for weddings in winter. With long sleeves and high neckline, this elegant piece has a stylish open back. It’s a short dress that can be paired with leggings in winter. What could be more elegant than a black, classy, lace marina dress? 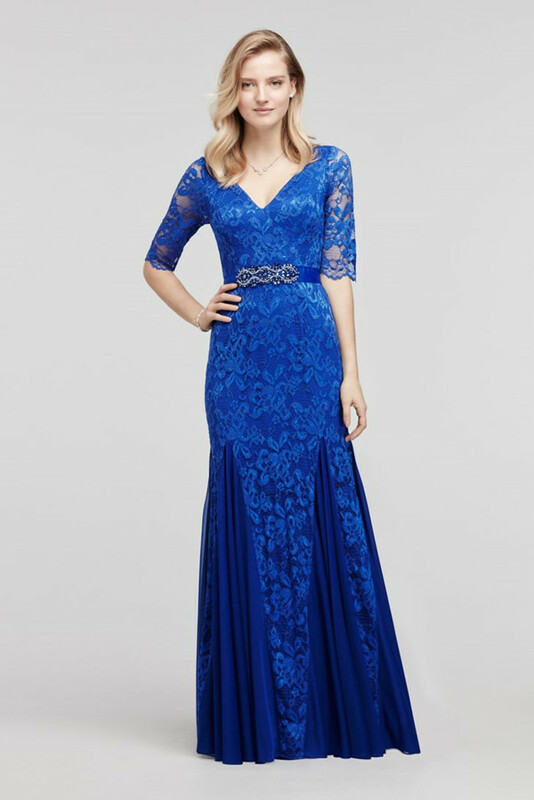 This knee length, fitted dress has long illusion sleeves with a scalloped lace neckline. Stunning off shoulder style makes it more glamorous. Your mom would look stunning, walking down on aisle in this amazing, floor length, silk gown. This sizzling sleeveless dress has chic wrapped bodice, V neckline and a flowy skirt. Crystal embellished waistline adds glamour to it. It’s a classy blue sheath mermaid style gown. Scoop neckline and long sleeves give it a sophisticated look. Crystal detail on the waistline gives this simple pleated gown a more glamorous look. It’s a chic trumpet, slim fit gown. The elegant floor length gown has cap sleeves and V neckline. Pleated skirt makes you look stylishly elegant. 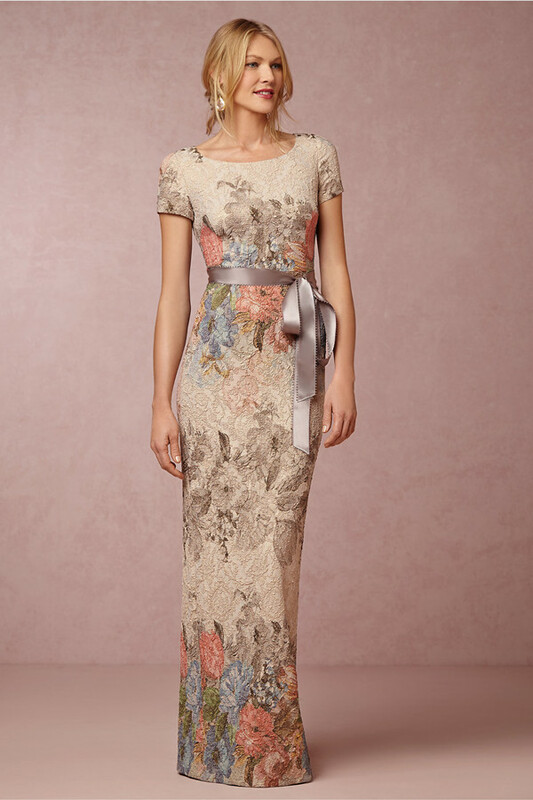 It’s one of the most stylish Mother of the Bride dresses. 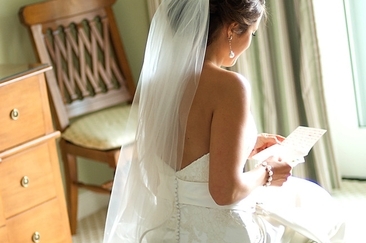 A delicate beaded yoke makes this gown sizzling. A pleated bodice with a layered flowy gown makes it more appealing.